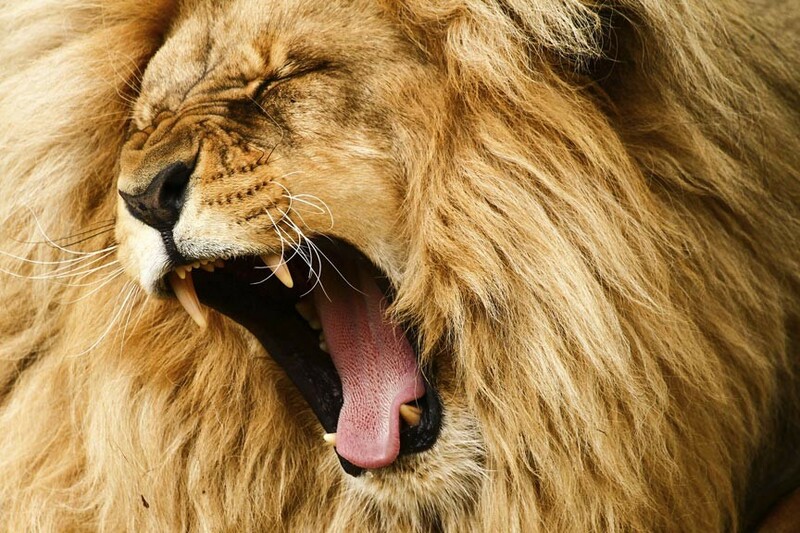 Visit South Bend's Potawatomi Zoo! « Attend the 2016 Wakarusa Maple Syrup Festival! The Potawatomi Zoo animal collection includes a wide variety of beautiful animals, including rare and endangered species. You’ll not only see the expected monkeys, lions, tigers, and bears (oh, my) but also rare and unusual animals, such as Amur Leopards, Laughing Kookaburras, Chinese Alligators, Giant Waxy Monkey Tree Frogs, and even Madagascar Hissing Cockroaches! Not just displaying rare and endangered species of animals, the Potawatomi Zoo is active in the preservation of some of the world’s most endangered species as well, participating in several Species Survival Plans (SSP). SSP’s, coordinated through the AZA, help to make sure that endangered species living in zoos retain a genetically sound population for future preservation and growth. Potawatomi Zoo also includes a Zoo Farm Feeding Area where you can come pet, feed, and otherwise get up close and personal with a variety of domestic animals. While the animals are definitely the main focus and the pride of Potawatomi Zoo, they aren’t all that the facility has in store for you! One of the bigger attractions is the Potawatomie Zoo Endangered Species Carousel. This beautiful, musical, fun ride of color and sound features 18 hand-crafted rare and endangered species, as well as animals found at the Potawatomi Zoo, including a lion, rhino, anteater, gorilla, tiger, leopard, tortoise, and wild dog. 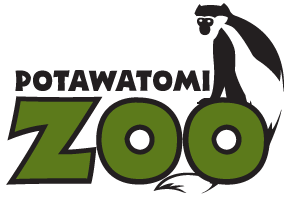 Tour the Potawatomi Zoo on the Potawatomi Zoo Train! The Potawatomi Zoo Train is a historic CP Huntington electric train that will take you on a gentle, rolling adventure through some of the more popular parts of the zoo, such as the Australia section and the River Otter exhibit. Beyond the expansive enclosures and displays of rare and wonderful animals from around the world, Potawatomi Zoo also offers on-site dining at the Congo Cafe! Choose from 7″ or 14″ pizzas with your choice of toppings, hamburgers, hot dogs, chicken strips, and more. For lighter appetites there’s the Otter Outpost by the North American River Otter exhibit, serving cool drinks and packaged snacks. For dessert, you can hit the Potawatomi Zoo Chill Zone for a delicious, hand dipped, ice cream – yum! The Potawatomi Zoo Jungle Gift Shop offers potential necessities like cameras, batteries, and sunscreen to more fun items like plush toys, fun clothing, and a selection of fair trade items. With the exception of a few, special days, Potawatomi Zoo is closed during the winter months but will be reopening soon, on April 1st, 2016! South Bend’s museums Potawatomi Zoo is wonderful but most definitely not all that Northern Indiana has to offer! Whatever it is that brings you to Indiana Amish Country, let the quiet country comfort of Scottish Bed & Breakfast serve as your home away from home! We’re less than a half hour’s drive from South Bend’s attractions and offer a full-size, indoor swimming pool, event facility, Select Comfort Number king or queen beds, a television and DVD player, fireplaces, and climate control in every room – not to mention our delicious, home-cooked breakfasts. This entry was posted on Friday, March 11th, 2016 at 10:00 am and is filed under Adventures in Northern Indiana. You can follow any responses to this entry through the RSS 2.0 feed. Both comments and pings are currently closed.